This is an exciting time for Plan International as we implement our strategy for 2017-2021. Our global strategy defines who we are, why we exist, the change we want to see in the world and how we will contribute to making change happen. It underpins everything we do, guiding all our work in all parts of the federation. To achieve greater change in children’s lives we are dramatically transforming how we operate and we need bold, forward-thinking and innovative individuals to steer our country operations, driving change and delivering results that will allow us to transform the lives of 100 million girls globally. Plan International Tanzania commenced operations in 1991 delivering programmes to help marginalised children and their families to break the cycle of poverty. Plan Tanzania’s country office is located within Dar es Salaam and 8 Program Units (PUs) in 13 regions. At present Plan International Tanzania implements a viable portfolio of approximately 13 million Euros every year and is also involved in the humanitarian programming in the Burundian refugee camps in Kibondo. Plan International Tanzania is a member and co- lead of the DRM Centre of Excellence and also a member of the 18+ Centre of Excellence on ending child marriage and teenage pregnancy and the Centre of Excellence on Cost Recovery. The Country Director is accountable for the management and leadership of a team of approximately 280 staff with a Country Leadership Team of thirty members, eight of which report directly to the Country Director. As part of the broader organisational effort to transform Plan International Tanzania to achieve greater impact, Plan International Tanzania will be going through a transformational change and strategy development process commencing in 2020. This process requires leadership of the Country Director and experience in change management. The organization is committed to meeting safeguarding expectations across all its operations and will expect the country director to ensure all incidents regarding child abuse and sexual harassment are reported and effectively managed. The role of Country Director is a truly influential position that comes with full accountability for Plan International’s operations and results. 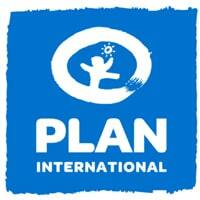 You will help to realise our vision by shaping and implementing Plan International’s strategy at a country level. Your talents as a leader and communicator will inspire Plan International employees and volunteers while engaging partners, government, local communities and our other stakeholders. And, on an operational level, you will bring a focused approach to key responsibilities such as risk management, income growth, the disbursement of project funds and the oversight of projects.